Tax Preparation in San Diego: Sandra Puchahes of Thefeld and Assoc. Sandra is a native of San Diego California. She is an animal lover and enjoys gardening in her spare time. 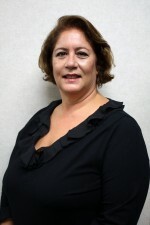 Sandra worked for Thefeld & Associates since 1990, starting as the receptionist and staff support. She works closely with staff and has a great working relationship with clients. Her primary responsibilities include preparing tax returns, billing and follow up for clients, and scheduling appointments. Sandra has recently been assigned the position of Office Manager. In addition to her other responsibilities , she now oversees the operations of the office and staff, as well as bookkeeping and accounting functions, human resources duties and general administration tasks.